Affectionately known by some as the Cookie Monster, Pamela Hill along with her husband Maurice founded Makeda’s Cookies in 1999, naming the business in memory of their niece, Makeda Denise Hill, a.k.a. 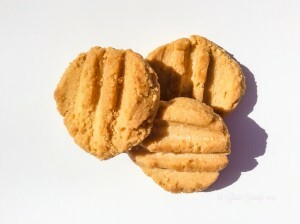 the Queen of Cookies, who passed away from Leukemia two years earlier. Makeda’s Cookies is a cozy bakery nestled amongst the small businesses and tree-lined streets surrounding the National Civil Rights Museum in Memphis, Tennessee. 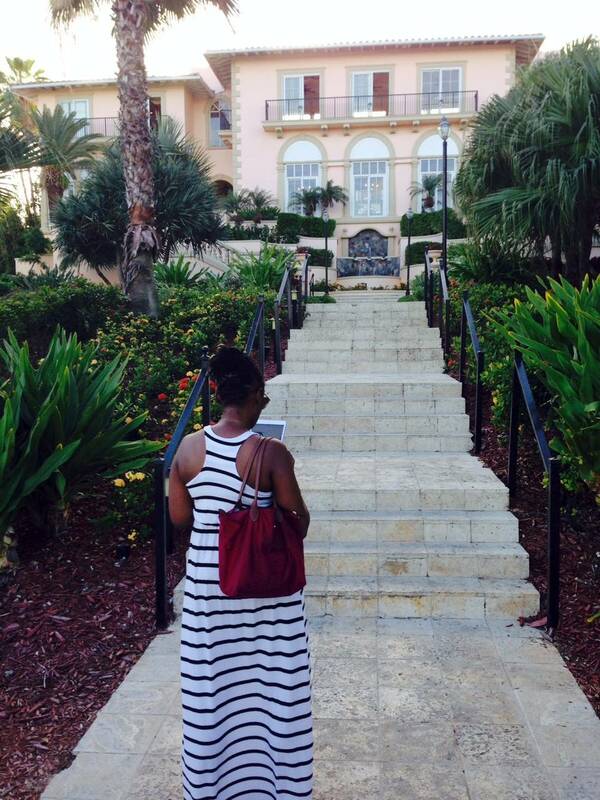 When I visited the bakery it was easy to find thanks to a bright red tent sheltering the entrance. Underneath the tent, and just inside the doorway, you’ll find vendors selling jewelry and other things that I like to collectively describe as not butter cookies. Being a woman on a mission, and not wanting to miss my ride, I (politely) by-passed those obstacles and made a beeline straight towards the butter cookies. At the back of the bakery stands Pamela, greeting customers with a warm smile and a free sample. How could I resist? As I tasted that first bite, I immediately knew that a bag of butter cookies was coming home with me. The rich ingredients and soft, granular texture give these cookies their delicious homemade taste. The real butter and sugar are responsible for the rich, decadent flavour that keeps you wanting another, and another, and another. Hands down, these are the best cookies money can buy. 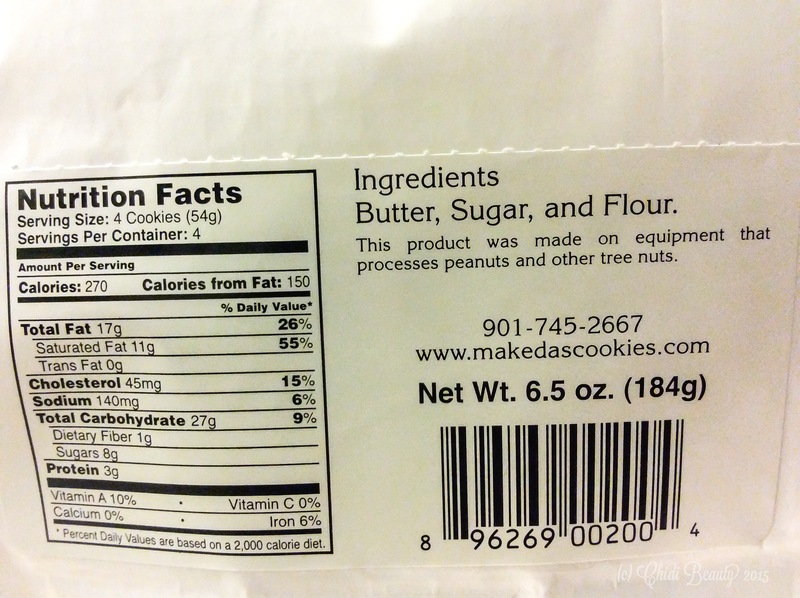 Makeda’s butter cookies are made of only three ingredients, none of them artificial. It’s hard to believe that such a satisfying, sweet treat is made with only three ingredients, but I’ve tasted the proof and it’s delicious. 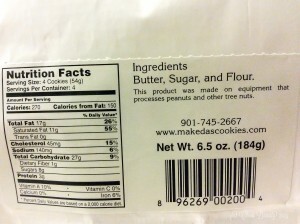 Nothing can be added to or taken away from these cookies to make them better. This is simply a butter cookie at its finest. 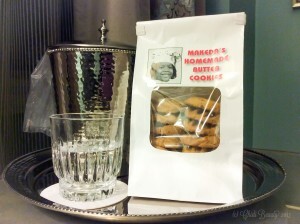 Of course Makeda’s Cookies has other types of cookies, and those varieties seem to get rave reviews too. But for me, nothing could be better than basking in glorious homemade butter cookie delight.